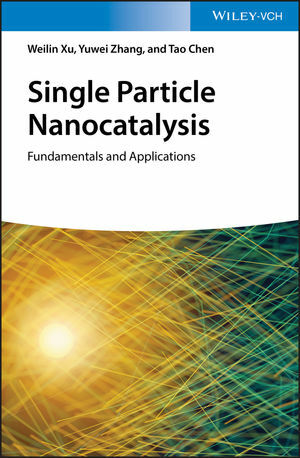 This unique book introduces and summarizes the recent development of single molecule/particle nanocatalysis to provide both comprehensive coverage of fundamentals for different methods now in widespread use and the extensive applications in different catalytic systems. Chapters are mainly based on different detection methods, including single molecule fluorescence microscopy, surface plasmon resonance spectroscopy, X-ray microscopy, and surface enhanced Raman spectroscopy. The book also includes numerous basic principles of different methods and application examples and features illustrations that help clarify presentations. Single Particle Nanocatalysis: Fundamentals and Applications starts with the history and development of single molecule techniques for nanocatalysis. It then shows readers how single molecule fluorescence microscopy (SMFM) reveals catalytic kinetics and dynamics of individual nanocatalysts. Next, it examines traditional SMFM-based single molecule nanocatalysis without super-resolution (SR) imaging, before moving on to the topic of SMFM-based SR imaging in single molecule nanocatalysis. Following chapters cover scanning electrochemical microscopy for single particle nanocatalysis; surface plasmon resonance spectroscopy for single particle nanocatalysis/reactions; X-ray-based microscopy of single-particle nanocatalysis; and surface-enhanced Raman spectroscopy for single particle nanocatalysis. The book finishes by introducing some less-practiced techniques for single particle nanocatalysis/electrochemistry. Single Particle Nanocatalysis: Fundamentals and Applications is an excellent reference book for experts in this area as well as for general researchers who want to learn how to study nanocatalysis at single molecule/particle level. Weilin Xu, PhD, is Professor at Changchun Institute of Applied Chemistry, Chinese Academy of Sciences. He focuses on energy process related basic and practical research. Yuwei Zhang, PhD, is Associate Professor at Changchun Institute of Applied Chemistry, Chinese Academy of Sciences. Her research is currently on single particle nanocatalysis. Tao Chen, PhD, obtained his PhD from Changchun Institute of Applied Chemistry, Chinese Academy of Sciences, where he studied the nanocatalysis at single particle level based on single molecule fluorescence spectroscopy.